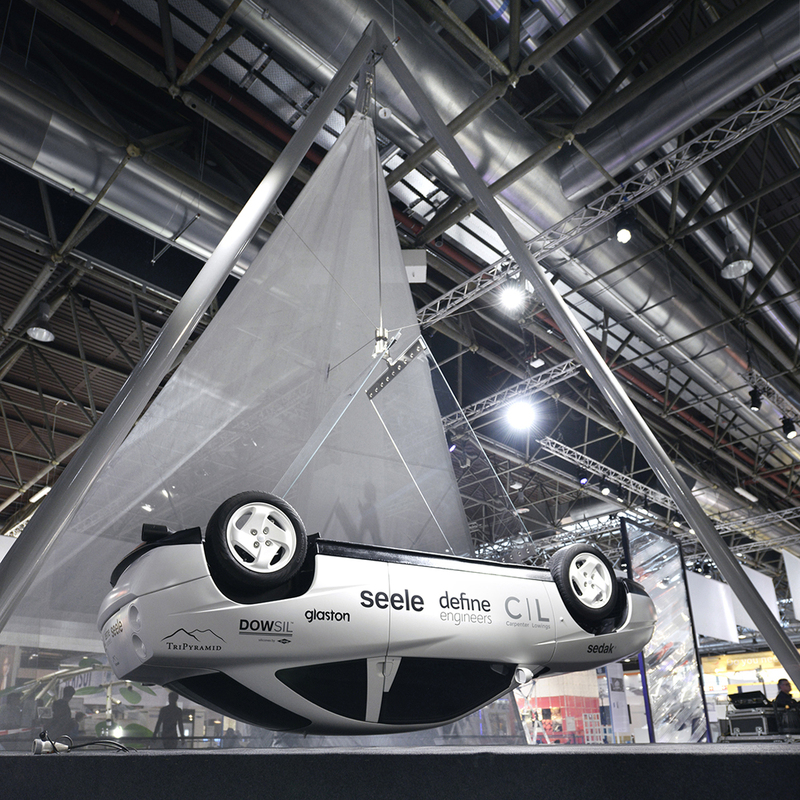 A car swinging upside down suspended on only two sheets of super-thin glass: ‘Gravity’ is showcasing the potential in glass processing, adhesives, high-precision engineering and manufacturing in a highly innovative, efficient and aesthetic design. 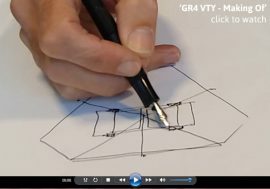 The bold idea of ‘Gravity’, conceived by Vladimir Marinov (Define Engineers), with Luke Lowings’ (C|L) creative architectural input, has been realised by seele’s manufacturing excellence, with the support of several commercial partners across 7 countries. 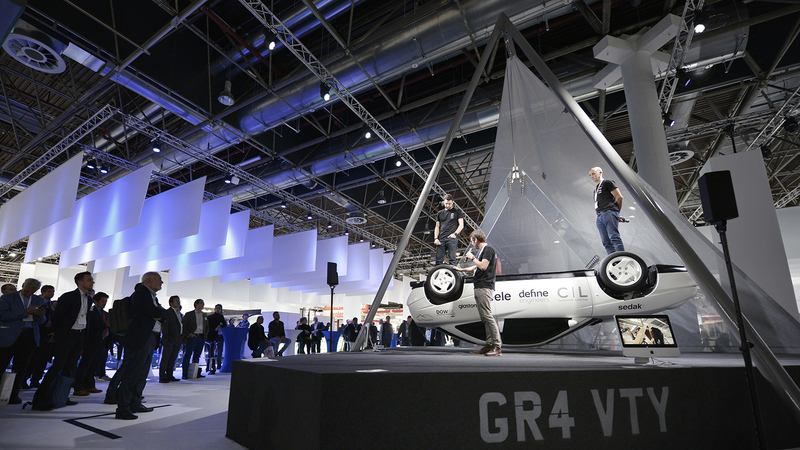 Two sheets of thin glass elegantly bonded to stainless-steel edge strips are suspended from a tripod structure which holds the swinging car tantalisingly close over a podium. The glass sheets are 985mm x 1950mm, composed of two 2mm heat-strengthened laminated glass panes. The load bearing capacity of this visually and physically light structure is impressive. The thin glass stretches under the dynamic 1.35 tonne load, which eliminates all bending and ensures the glass behaves as a membrane – the most efficient way to carry load. 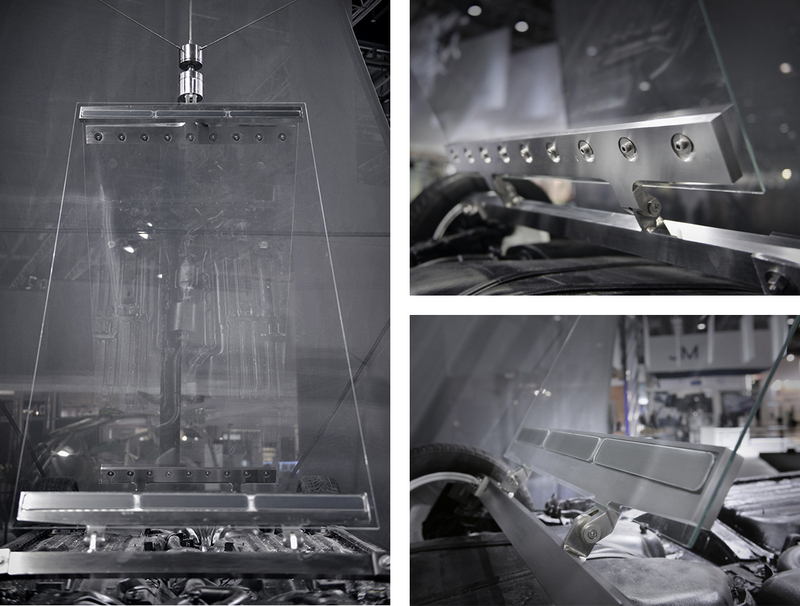 A key feature of Gravity is the transparent connection between the glass and the stainless steel brackets made with Transparent Structural Silicone Adhesive (TSSA), which eliminates the need of mechanical fixing through the glass, allowing for a continuous glass surface. 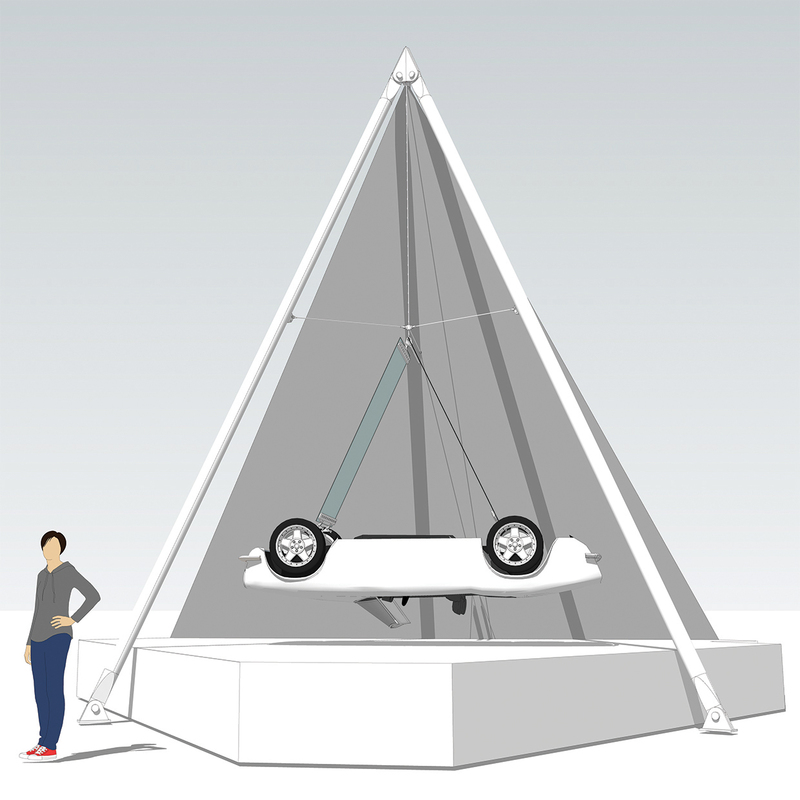 The hanging rod and bearing assembly allows the free rotation of the car in any direction avoiding bending stresses in the glass, with one 9.5mm rod supporting the entire car. ‘Gravity’ is a team effort. Collaboration is what makes intense design and construction tasks like this possible. It occurs as working relationships develop into friendships, when mutual interests form concepts, and with support, find expression in built work. Knowledge and confidence gained in small projects may find application at a larger scale, and so the understanding of glass at a theoretical and practical level broadens and deepens to form part of our construction culture. Pleasure in this process is a significant part of the motivation for this project. 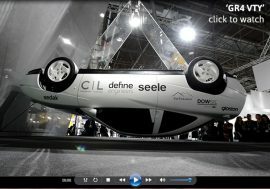 We would also like to thank Ulrich Knaack for the initial invitation, the team of Glass Technology Live for offering a platform to exhibit ‘Gravity’ and to the entire team at Messe Düsseldorf for their assistance.